I love having quick meals on my pantry shelf that are healthy and that I can whip up in a jiffy. Unfortunately, when you eat fresh foods and meals made from scratch, this doesn’t happen very often. That’s why I absolutely love canned beans! Canned Beans are easy to make as far as canning foods goes and they are a great healthy addition to so many meals. Unlike many canned foods that you are canning so you are preserving them to last longer, canned beans you are canning to have a quick ready-made meal. I generally can pinto beans because they are inexpensive and I usually have them on hand. But you can use any kind of beans that you would like depending on what you think you will make with them; kidney, black beans, red beans, navy beans, ect. First of all, you might want to check out this video I made of an overview on canning pinto beans, and why you would even want to can them in the first place. Then keep scrolling down this post for step by step instructions. Start by placing your beans in large bowls and covering with water to soak. I always let mine soak about 24 hours. The soaking will help with any digestive issues that you may get from beans. It will also help “pre-expand” the beans so we make sure we are putting the right amount of water in the jars for them to cook properly. For the tomato puree I generally use some of my Home Canned Tomatoes and just run them through the blender. This past year I ran out of tomatoes from not canning enough so I used a salt-free bottled tomato puree and it worked great. Add in 1 cup of beans per jar. Remember, this is the amount for the pre-soaked beans that have already started to expand. And then add in water to fill the jar the rest of the way. Make sure to leave about an inch of headspace in the jar. The jars may look like you didn’t add enough beans but they will expand and fill the jar. All kinds of beans must be pressure canned since they are a low acid food. Some of the meals we make with these canned pinto beans are Baked Beans, Taco Salads, and Chili. I hope to get another post up soon with some of the recipes so you can really see how versatile these beans really are! 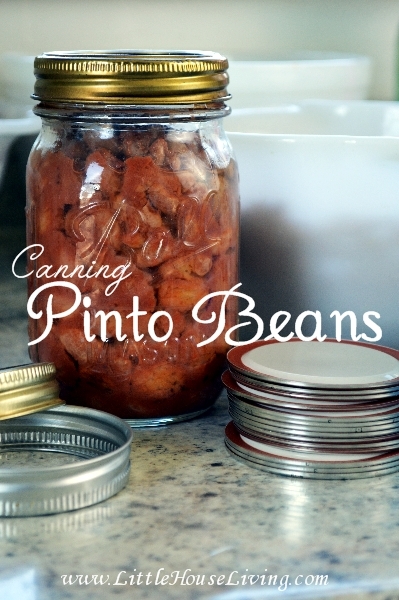 If you loved canning Pinto Beans, you might love these other canned bean versions as well! And if you still don’t know what to do with these awesome canned beans, make sure to check out my post on Canned Beans Recipes! You always explain things in a way that makes things simple and easy to do. I’ve tried several projects and recipes, which will include the shredded roast beef tomorrow, and they all turn out wonderful. If the garden wasn’t calling I’d have my maxi skirt done! I’ll save this link and get some beans canned soon. Thanks for the instruction on canning. I’ve always been afraid to try, but you make it seem more doable. We love beans too and are always trying to find new and healthier options. Thanks!! This is just another reason why I need to get over my fear of pressure canning! I love pinto beans and would love to can them for year-round. I already can my beans, but I love your idea of adding your spices in before canning! Another way to save time, always a plus when cooking 18’20 meals a week from scratch! I’ve been moving away from store-bought canned beans in favor of dried pinto beans that I prepare at home. I currently store mine in the freezer, since I have no experience with canning. But I think this may be an even better storage option since dinner can be done within minutes. Hi Melissa! This was a very detailed, well thought out video! It was almost like you anticipated potential questions in advance! I have canned in the past, but never pinto beans, and you make this very doable! I also like that YOU, and us, the viewers, control WHAT goes in with the beans! That is another healthy way to eat! 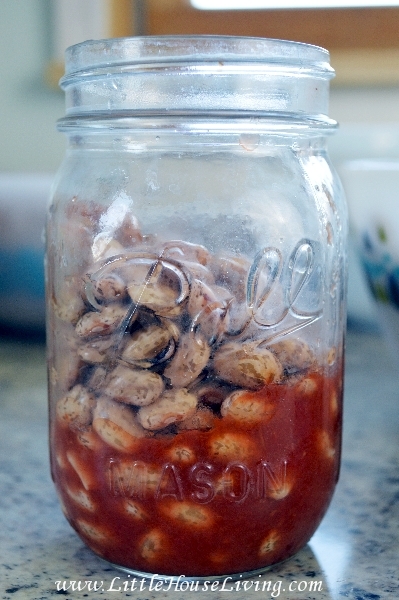 Also, canning dried beans can be done anytime of the year, so I think Spring would be a good time to try this–not too hot outside! THANKS again for a great tutorial video! Very well put together tutorial. I too can different beans and it is a time saver Thanks so much for the idea of adding the spices to the pintos I’ll do that this weekend as I have several pounds of beans to can. Thanks again. PS. I love my pressure canner so much!! It is a great time saver…. for me as I can all year. I don’t add anything but 1 tsp. salt per quart. I use the beans to make bread, lasagna, chili, an applesauce bread, and I have even made pizzas with them. So for those breads and sweet treats I make using beans, we don’t want tomato paste or chili–just beans. They work just fine and are so convenient! I pinned this to try. We eat a lot (a lot) of beans but I have never thought to can them before (I always make them from scratch). found you at what did you do this weekend. Thanks for sharing this! Have a great week! Once again, you have taught me something new! I am completely addicted to Little House Living as I journey on my homesteading path. We like diced smoked sausage or kielbasa in our beans… How would that work in canning? And thanks again for all that you do! Keep in mind that cured meats (ham, sausage, corned beef, etc.) have not been tested for canning. As such, there is no “approved” recipe or method for this. I’m currently canning 16 pints of this great recipe (with a few tweaks – we like spicy, so hello jalapenos! ), and I’m so excited to see how they turn out. I still have quite a bit of beans left, and all I have left are quart jars. How long should I process quart jars, and should it still be at 10 pounds? 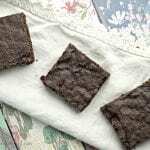 From what I’ve read you can do quarts at 90 minutes also although sometimes I’ve found this isn’t enough time to make sure they are all the way cooked so you might want to do it a bit longer. 90 minutes should be enough for proper pressurization though. I love pinto beans and I love canning. But, I’ve never canned pinto beans. I love the process of taking dried beans and turning them into something special. I do tend to batch cook them and freeze. This works out a little better for me as my shelf space for cans is limited and we do so much canning every year. I have a freezer in the garage, and we fill it to the brim! If I ever get a pressure canner I’m going to try these. When soaking over night ,do they need to be in the refrigerator or leave them on the counter. Thank you for sharing. We eat a lot of beans, this sounds so good. Very handy on the lazy day of summer and not wanting to heat the house up in summer, as I’m here in Texas. Do you have a recipe kind of like Ranch Beans? 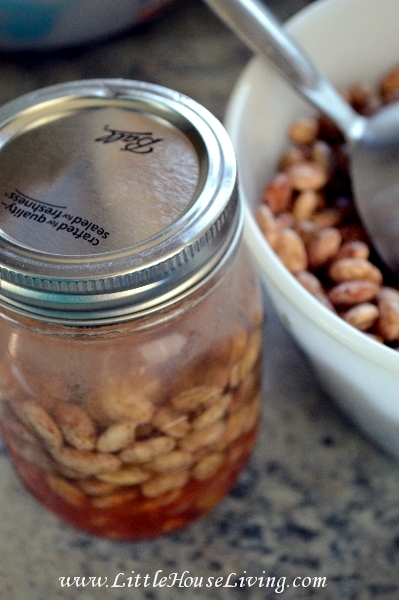 Canning beans is a great way to save money when beans are on sale. I like canning much better than freezing as if the power goes off you do not chance loosing all your hard work. You can store canned items under a bed or any place cool. Thanks for sharing this awesome advice for all to use. 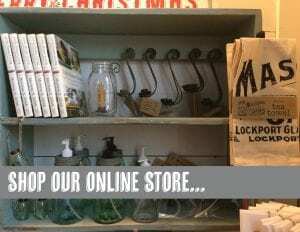 Love your site. I grew up on a farm where we grew all our own food pretty much. So my parents canned everything we grew or raised. Just be sure to be careful to watch the pressure cooker & let it cool safely. Thanks for the great canning recipes. I too eat a lot of beans and storing them in the freezer was taking up too much space I needed for other foods, so to Pinterest I went! My question is can I use fresh garlic, hot peppers, and onion for flavor or would that change the contents composition too much? I think I will do half of mine with the seasoning and half plain. For those beans and corn bread days! lol.Does the time need to be adjusted or will it be the same.? Thanks. It will be the same time for both. Enjoy! Hi. I have done a little bit of canning, but just apple and pumpkin butters, and peach and strawberry jam. I do not have a pressure canner. Can I precook the beans, and then can, using a hot water bath? Because they are a low acid food, beans must be pressure canned to be stored safely. Pumpkin is actually a low acid vegetable as well and, though many pioneer women did it, it has never been proven safe to home can because the density of winter squash is such that bacteria cannot be completely eliminated. I love pumpkin butter, but I do smallish batches and use it up quickly. Just FYI, because I researched it a few years ago. You said you soak yours for 24 hours, but is that w/out changing the water?? Mine stink after 12 hours… I think I’d have to throw them out if I waited a full 24 hours. Do you use lemon juice, baking, soda, etc. in the soak water?? I have tried using something & also using plain water, yet they still get stinky. I can’t wait to can pinto beans now, though I admit I haven’t yet used my pressure canner… & am a bit intimidated…this will be my 1st go at it. TY for sharing this!! Hmmm, I haven’t had that trouble before so I’m not sure. I wonder if there is a certain mineral in your water that is causing that? You could always soak for 12 hours, change the water and then soak again. All beans contain a chemical called phytohemagglutinin, and it is toxic to all living creatures. Red (kidney) beans contain the highest concentration, and MUST be soaked for a minimum of 12 hours before cooking, and YES! Rinse the water off and cook with fresh water or you are still eating this toxin. Pinto beans do not contain so much but still should be soaked at least 2-3 hours and rinsed, cook with fresh water. Even Lima beans contain some amounts of phytohemagglutinin. Soaking 24 hours for all beans is probably “overkill”; some will be mushy after you can them. 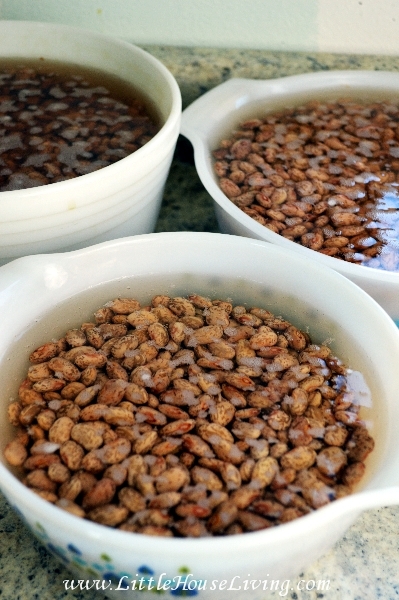 Know which beans need the longer soaking and repeated rinsings. 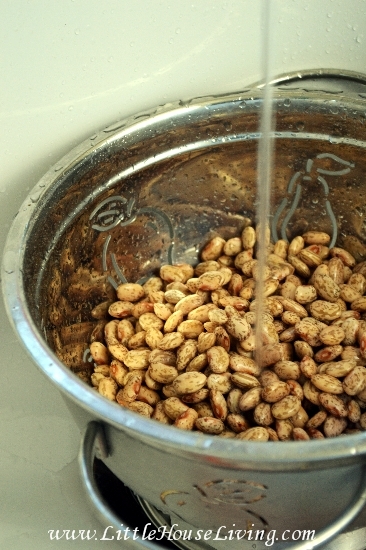 MOST beans (other than red/kidney) will need no more than 2-3 hours of soak time; go for 4, if it makes you feel better. I can my beans fully seasoned and with meats (we are not vegans); this means we have “meals in a jar” at the ready. If you are going to add meat to any canned food, you MUST treat it as meat: process just as though it was meat – pressure canner only (not water bath) for the prescribed period of time for the altitude at which you are canning. Thus, if you add meat, don’t over-soak or your beans will become “mush” in the jar. We like our beans canned with broth rather than water, as well. Soak in water; rinse thoroughly; cook with broth, veggies, meat (if preferred), and seasonings of choice. If I’m canning, I pre-cook beans only 10-15 minutes, to get them nice and hot, and mix a bit with seasonings, meat, and veggies. I then hot pack and process as “meat” in pressure canner. 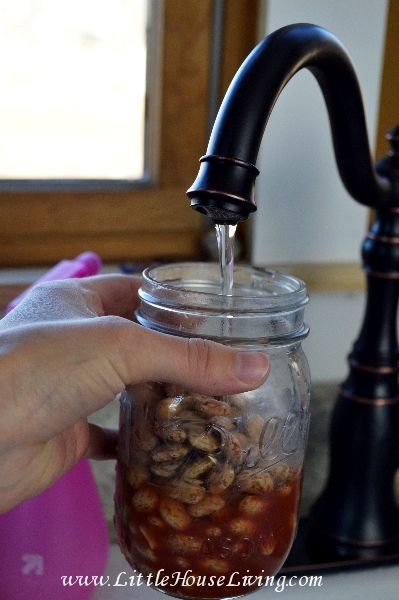 Soaking the beans for 24 hours does not create mushy beans when canning…this is the method we use every time. Soaking the beans for this long and then cooking them before canning will make them mushy. Soaking beans for only a few hours will not expand them enough before you place them in the jars and you will have issues with too much expansion and/or not enough water or liquid left in the jars if they are not soaked long enough. Soaking beans also helps to break down the sugars that cause gastric issues and it will help preserve the greatest amount of nutrients in the beans. Thank you! I’ve been freezing my beans after cooking, but that still requires thaw time. This will be fantastic! Marissa, I first stumbled upon your site only a few days ago, and am having trouble “leaving” once I’m here! Today, I canned kidney beans, using your directons/technique – thanks so much as you saved me quite a bit of (hands on) time. 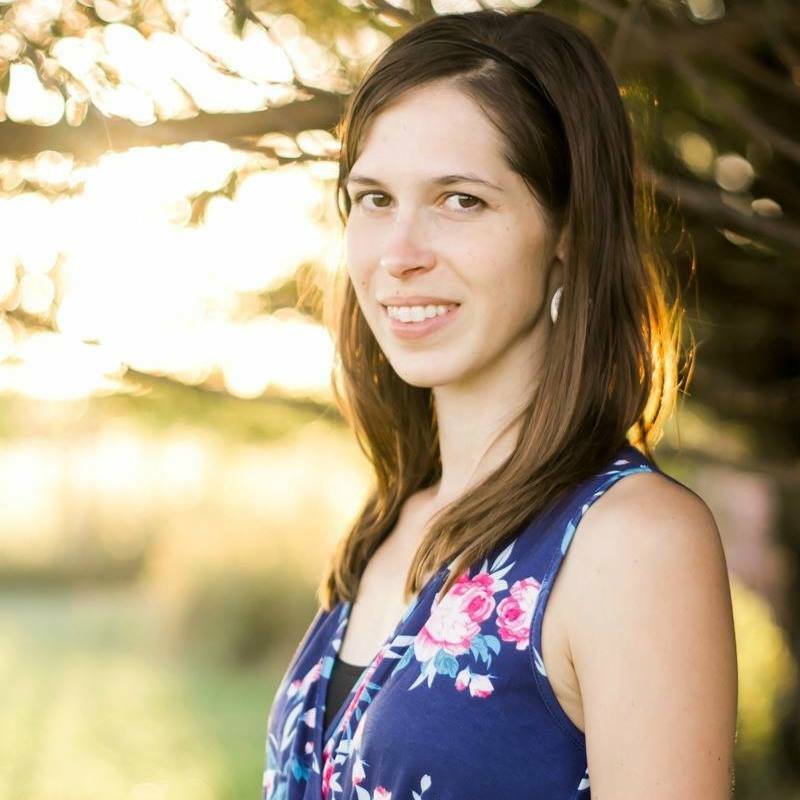 I hope you don’t mind, but I just mentioned your site on my blog, “Life Lemons and Things” at blogger.com. Now, I don’t get much traffic here, but I’m so impressed with the wealth of infomation you’ve shared since you began, that I HAD to mention you! You are now a shortcut on my desktop! Thanks again, and be assured I’ll be back here again and again! Merissa, sorry for the typo in my comment! 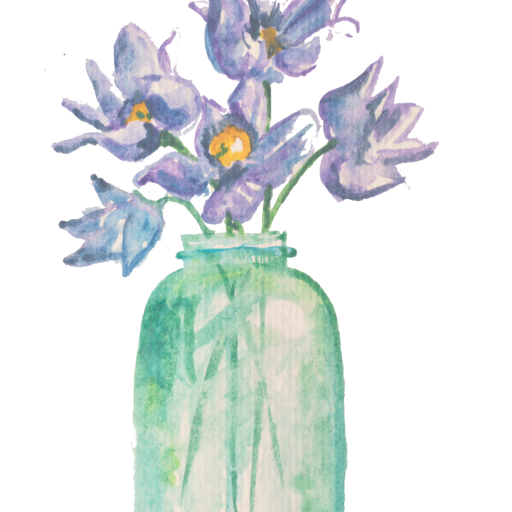 My apologies – be well! I love your site, so helpful! I had a question about what tomato puree is exactly. 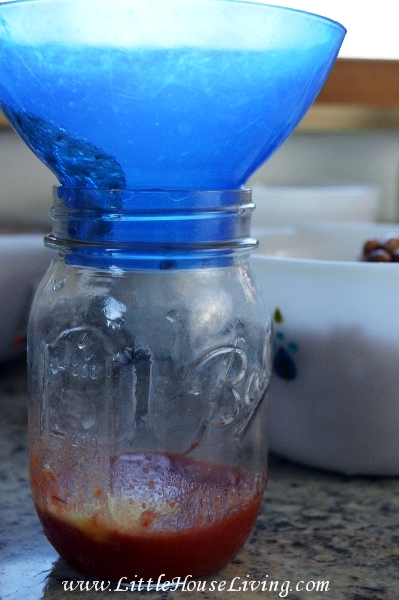 I can whole/quarter tomatoes in wide mouth jars and when I need tomato sauce I just open a jar, drain the water/liquid out and put my immersable blender in the jar to make it into tomato sauce. Would this be the same as tomato puree? 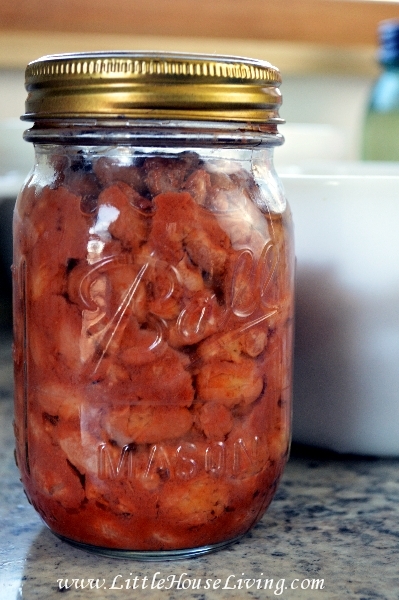 Have you ever included a chunk of salt pork in your pinto beans when canning? If so, did you have to change any of the timing or pressure? Also, have you ever canned soups like chicken noodle or cream of broccoli? I haven’t canned many soups yet Kathy but we do have a recipe for Canned Pork and Beans. I don’t have many jars of home canned tomatoes so I don’t want to use those to make tomato purée. Could I use store bought tomato purée or would you just leave the tomato out? Thanks. Yes, I’ve used store bought tomato sauce for this recipe instead. You can leave it out as well if you just want cooked beans. Can’t wait to can some beans! Just have one question. 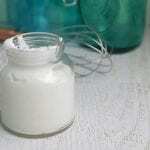 I plan on using quart jars because I have a surplus of them right now. If I presoak my pintos how much do I put in the jars? Would it be twice as much as the pints? I usually fill the jar 2/3 to 3/4 of the way full with beans no matter what size I’m making. 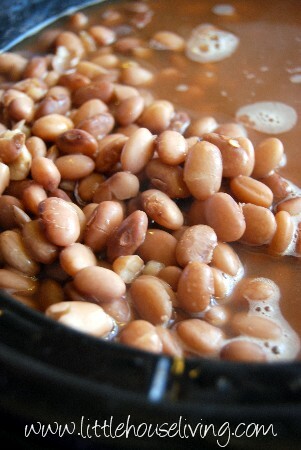 Canned pinto beans for the first time using your recipe just today and then had some for supper… it was delicious! Thank you!! I love this post! I am always trying to explain to people why I “bother” – it’s not a really a bother though. I adore dry beans and store buckets of them since I buy them in 25 lb. bags. My husband has hypertension, so cutting salt is a must and store-bought beans are so high in salt, even the low-sodium variety. We grow our own garlic, so I usually add a whole clove of garlic to each jar, especially this time of year when they storage garlic really needs using up. I am excited to try adding some tomato puree like you’ve suggested. I do happen to live at high attitude, and I just increase the pressure to 13 lbs (I’m at 4800 ft.). Thank you so much for sharing! As a general rule I try to use use home canned foods within 2 to 3 years. My beans never last that long though, we eat them too fast! I tried canning a batch of presoaked beans but one cup doesn’t seem to expand to fill up my jar. What am I doing wrong? It will depend on how long you soaked them prior to canning. If you soaked them for 12 hours they will still probably expand more, if you soaked them for 24 hours hours they won’t expand as much when cooked. Different beans will also react differently. What measure of beans and how long to process quart jars? It’s 1 cup of pre-soaked beans per pint (double for quarts), the process time is the same for pints and quarts. Thank you for this tutorial! I have been using it for about a year now, and every time I can beans I come back to it to be sure I’m doing it right. It has saved me so much time and money! 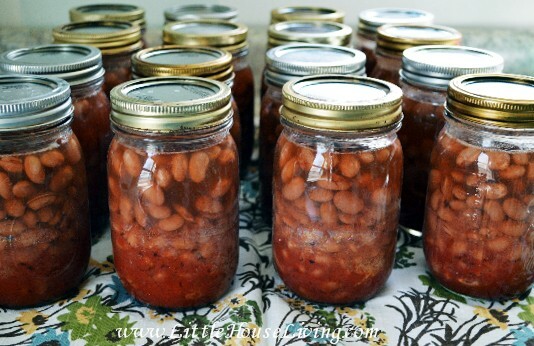 I tell everyone that canning beans is easier than going to the grocery store to buy some! These are great. Just ran out of the last batch I had made. I like the pork and beans and the pinto ones best. Will be doing these again really soon.